Well, I say “finally here” almost a year later, as the Bluffworks blazer has been out for a while, and I expect quite a few of you might have one already. So, why have I been dragging my feet this long, even though I received a test sample quite some time ago? Because I was trying to find something wrong with it. And I failed. Bluffworks has been working on a blazer for quite some time, and went through quite a few iterations getting the appearance, texture, and durability just right. They were hoping to get something made of a high-performance synthetic material that could look and feel very much like wool, so it could pass for a dressy blazer not only from across the room, but up close and personally, too. And they nailed it. It just looks like a classic blazer, from the overall appearance, to the tiny details. And you know what you’re not seeing? Pointless zippers, racing stripes, reflective panels, and whatever else keeps showing up on technical blazers all over the place. It’s fine to put these on the inside, but if you’re in a situation where you have to wear a business suit or something similar, any deviation from the norm is going to stand out immediately, which is a problem with most alternatives I’ve seen. If they’re not formal enough for a business meeting, what are they good for? As you can see, that’s not the case with this one. It’s just a classic blazer, everywhere you look. No weirdness in back, either. The style is just as it should be. Classic. You can even see individual yarns, which is something worth looking for if you’re looking into high-tech clothing like this. Smaller, visually indistinguishable yarns are usually what contribute to a plasticky texture, a clammy feeling against sweaty skin, and the zip-zop sound so typical of polyester clothing. With thicker yarns, you not only gain a more natural visual texture, but it feels a lot nicer, giving it a softer, more natural-feeling surface. Thicker yarns also tend to open up the fabric a bit more, helping with breathability. It’s really nice. It’s even a bit stretchy, too. And, being that it’s a technical fabric, you gain all the advantages therein. It’s significantly more durable, it’ll dry quickly, and it’ll never wrinkle. I’ve shoved it into a bag with a bunch of other stuff numerous times and it looks brand new whenever I take it out. It’s also quite stain-resistant, as polyester is pretty much immune to this problem. But I wanted to put this to the test anyway. So I poured coffee all over it. Thick, sludgy coffee with the grounds in there too. Then I smushed it into the fabric, and let it sit there…for 24 hours. Then I rinsed it off with water, and that’s all. Not even with soap. I didn’t even expect that to work, but it disappeared in seconds, and there’s no trace of it, even without a machine wash. I even made sure to pour the coffee onto the inside fabric, worried that it might cause permanent damage, but it just rinsed right off. It is that stain resistant. You will likely hand this down to your children someday. The only downside I can say in regards to the fabric is that it’s just a bit on the warm side. It doesn’t feel much different from a wool jacket to me, but that’s enough reason to avoid wearing it in the height of summer. That’s part of the reason this review took so long, as I wanted to get a feel for it on a burning hot day. It’ll breathe, but it’s still a jacket. The fabric also feels just a teensy bit thicker and more substantial than my suit jacket, which I think is the official difference between a suit jacket and a blazer; blazers are usually just a bit thicker, so this will be just a bit on the warm side, from what I’ve experienced so far. That’s a partial lining, however; the sleeves are unlined, and actually have quite a bit of friction to them, so getting a long-sleeved shirt in and out of that sleeve often requires some extra tugging to get it to slide through. They skipped this feature for extra breathability and lower bulk, but just keep in mind that it won’t slip on and off as easily as it would with a silky-smooth sleeve lining. That said, I’ve got the slim fit, and they expanded the sleeves just a bit before the final production run, so mine are tighter than yours will be. You get pockets on the left, two on the right, and one tablet slot in the lower back area, which has a zippered closure. On your right side (when you’re wearing it), you’ve got two pockets; the top one zips shut. Both of those pockets are divided in two; the top pocket has a pen slot, and the bottom pocket has an additional, smaller pocket with a velcro closure for hiding smaller valuables (which is where I keep the spare buttons). This is how they got up to a count of ten pockets, even though only eight of them are visible in the photos. Quite a bit of organization here, all hidden away inside. The blazer is available in two fits (classic and slim), and comes in 2″ increments from 36 to 48, with regular and long lengths available, so you can find a much better fit than a standard S-XXL selection would provide. I will say the slim fit is quite slim; I’m a 37, and I got a 38 slim, and fastening the front button is just a bit snug on me, so I wouldn’t worry about the classic fit looking boxy. A couple reviewers mentioned the sleeves are a bit long, but that’s better than being too short, as that’s something you can get tailored if necessary. It’s reeeaaally difficult finding fault with this thing. It’s a gorgeous-looking, high-performance technical blazer that requires practically no maintenance, will last for decades, and will invoke jealousy in all who see it. I’ve already taken it to a wedding and other events and people demanded to know where they’d be able to get one too. 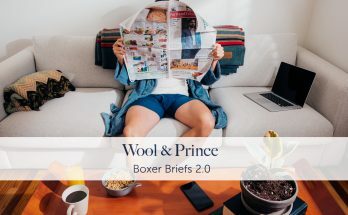 It’s priced around what you might expect from a nice blazer at $295, but if you’re going to make use of those technical features, I expect you’ll be getting more use out of it than a comparably-priced wool jacket that requires a whole lot more babying. And it’ll last longer, too. The only potential issues I can find are that it’s a bit on the thick and substantial side, so you’d probably want to avoid wearing it in hot climates, though its thicker yarns give it that nice hand feel. A full-length lining, especially down the sleeves, would have made it easier to get on and off, especially with long-sleeved dress shirts that take a little tugging to pull into the right position, but that was a deliberate tradeoff for lighter weight and lower bulk. But that’s about it. It’s kind of in a class of its own, as most of the alternatives from the style/performance companies I’ve seen tend to have weird, extraneous features all over the place, and just don’t look right. In fact I can think of only a few others that combine technical performance with the just-like-normal appearance of a regular jacket (from Rohan, Travelsmith, and Uniqlo, though I haven’t tried them). It’s an oddly short list, considering how useful it is to look spectacular without having to visit the dry cleaner every other day. But now that we’ve got this one, you won’t have to worry about that ever again. Got one already? Let me know what you think. How well do these go with your recommended pants? I have a pair of black Thunderbolts and it doesn’t seem like those would go. Any other practical pants in your wardrobe that would fit well with this? The original Bluffworks with the grainy wool texture or the Makers & Riders wool pants. But I think the navy blazer goes really well with a dark pair of jeans, too. I got one when they launched on Kickstarter. Love it. Looks “normal,” but is perfect for travel. I wear it with the Bluffworks Originals (charcoal), which matches the blazer pretty well. Just curious… you have the blue blazer with the Originals (charcoal)? Or the gray blazer? Thanks. I would like to know this as well, I have been holding off buying a blazer till they has one that better matched my charcoal pants. Not sure if it’s a secret or not, but I think it’ll be sometime this year. Totally agreed with this review. Best blazer I have ever owned. And Bluffworks has just announced they will be releasing a matching pair of trousers – so perfect suit! Ministry of Supply also makes a blazer/suit but I returned it the day I received it. Weird buttons, boxy fit, hard to tailor because of the taped seems. Whereas this performance blazer can compete with the best of them. That’s good news. I heard from them that getting the dyes to match exactly was kind of a challenge, so doing a blazer first and pants later as a separate batch would be a quality control challenge, but if we’re getting a whole suit from head to toe, that would be great. Did they say roughly when they might release the matching trousers? Umm, I don’t know if it’s still secret info at this point, but I think it’s happening sometime this year. Any chance you can convince Bluffworks to make matching pants (for a suit)? I’ve put in a vote for matching pants, so as long as people keep nudging them into it, I think it might happen. Another vote here. If they Kickstarter it, I’ll join it! Hmm, Massdrop did actually pitch something like that to me. Things are a little hectic so I’m trying not to get too busy that I can’t keep up with it, but we shall see. Adding my vote in agreement with a SM Massdrop channel. I’d like to have a single spot to grab deals on the stuff you’ve put me on to. I’ve got one. It’s my go-to travel jacket. Great pockets, looks awesome — just about as good as my J Crew Crosby in Italian wool. I wish the shoulders were a couple of inches broader, but I have come to terms with being more triangular than the average American male, so I accept it. Does anyone know the center-back length? Bluffworks web-site does not give this dimension (or I could not find it). So many of today’s sport jackets seem to be very chopped. On my 38 slim-fit, the back length (including the collar) is 30 inches. So when you pack for a non-business trip, is this your go-to jacket? I mean, sure, it’d be nice to have a blazer, but I’m thinking not nice enough to commit to that much space in my pack and warmth every time I put it on vs. thinner, multi-layer options. I’m also wondering about looking out of place by having something so formal looking in more rural areas. I would bring it along on something like a business trip, or to a wedding, or that sort of thing. I much prefer casual clothing for everyday use instead of something upscale, but some people out there like to look this nice, even just for fun socializing. On a trip to Vegas, for example, where you’e supposed to look fancy all the time. I definitely wouldn’t pack it for a rural/outdoors’y trip, but would/do for most urban trips, be they business or pleasure (I like to dress nicely in the evenings/at restaurants). It’s an awesome blazer, definitely the best 3-season technical travel blazer I’ve encountered to date (I agree w/Snarky that it’s too warm for summer travel, and eagerly await someone making a light-colored, light-weight blazer of equal quality to this one). Snark – Sorry to hijack the latest post to ask a question. You’ve changed my apparel life (really), and I trust your judgment. What say you about http://www.freeflyapparel.com, or “bamboo” clothing in general? 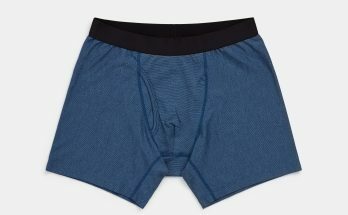 I saw a sentence or two in the recent underwear post, but not sure I got your full opinion on this fabric, vis a vis wrinkles, drying, odor, temp, and all the other things that matter to blokes like me & you. Maybe it’s worth a post for your fans? Regardless, thanks in advance for any answer here or elsewhere. Bamboo is very similar to modal and other forms of rayon; it’s super soft, doesn’t smell, absorbs much better than cotton, and feels wonderful. The only problem is that it doesn’t dry quickly. Tencel is the only quick-drying rayon fabric I’m aware of. Bamboo can be great if you have access to a washing machine and you have time to dry it, but I wouldn’t want to do a sink wash with it. It’s like a sponge, and can absorb huge amounts of moisture. I have been hesitant on getting one when they launched on Kickstarter, but this review is very detailed and I think I will now go for it. As always, thanks for the great reviews. 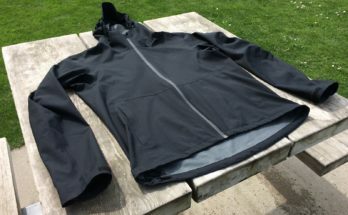 There don’t seem to be a whole lot of other technical/travel jackets out there that I’ve seen, except for the Rohan Envoy. How would you say that one compares to the Bluffworks Blazer? And are there any others you would throw up there for comparison? Betabrand has something called the “Featherweight,” I believe. Their regular blazer, called the Best Travel Blazer, has some weird elements that aren’t quite formal, but the featherweight one looks more classic. The Rohan is a blend of wool and synthetic, so it would be good as a crossover type of thing, whereas the Bluffworks is pure performance, and will stand up to more abuse, I would expect.